Professional Camera shoulder support rig with upgraded features. Performing camera moves add visual interest to a scene, but how do you make them smooth? Using a slider. In this tutorial, explore what camera sliders are and how they work; take a look at different slider options, from small, portable units to large sliders; and learn about remote-controlled motorized sliders. THE Sevenoak Light-weight Carbon Fiber Slider SK-CFS80 is a portable carbon fiber slider designed for both amateur and professional photographers/video makers. It features adjustable and foldable feet, super smooth sliding plate, extendable carbon fiber rails, built-in 1/4” and 3/8” screw holes. 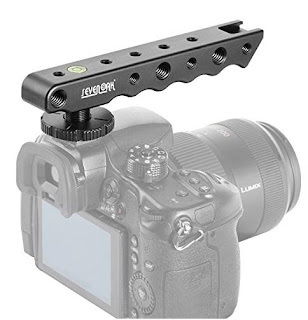 The sliding plate features a 3/8” screw which is compatible with most tripods heads, besides this, the sliding plate is also built with several extra 1/4” and 3/8” threaded holes which enables to you attach other accessories like LED lights, Microphone or monitor etc. The Sevenoak Dolly Slider SK-DS60 can be used as slider or dolly and moves from straight slides to curved movement. It offers you the ability to create good-quality production shots with easy installation and simple operation. Featuring heavy-duty anodized aluminum construction, standalone feet, adjustable axles, super-smooth glide rail, spirit level & tension adjustment, SK-DS60 gives you the best value. Sevenoak SK-MTS100 comes with a remote controller which is connected with the motorized slider via Bluetooth. And it also comes with a dedicated Application which can be download from Apple Store and can be used to control the movements and time lapse photos. Carbon Fiber Stabilizer SK-SW Pro 1 is a compact and portable hand-held stabilizer designed for use with DSLRs or small camcorders weighing up to 2.5KG. It features carbon fiber and Aluminum construction, quick release plate, back-forth adjustment, left-right adjustment, up-down adjustment, foldable legs, removable counter weights,scale marks etc. With foldable feet and triangular fixed plate design at the bottom, SK-SW Pro 1 can be folded in to a small size and carrying around easily. With back-forth, left-right, up-down adjustment screws, users can easily find the right balance for different cameras. Welcome to the Steadicam Handheld Camera Stabilizer Directory 2017. (Or how to avoid camera shake.) Great handheld camera stabilizers for shooting GOPRO, Android and iPhone video. Steadicam handheld stabilizer systems offer light, agile, seamless shooting for today’s videographer for smoother handheld footage. Ultra-light and ultra-compact. You’ll find you can easily shoot steady awesome video while walking, our selection of Steadicam handheld stabilizers are ideal for run and gun filmmaking, whether using an iPhone, practically any Smartphone, or a GOPRO, get great handheld footage even with a DSLR camera. These lightweight models are designed to reduce fatigue and permit longer focal lengths than ever imaginable with a handheld stabilizer. Top 5 Best DSLR Stabilizers 2017?How to stabilize a camera while walking? 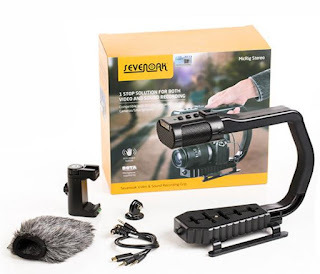 Camera Stabilizer DSLR: How to stabilize a camera while walking, how to keep a camera steady while filming, the sevenoak camera stabilizer offers light, agile, seamless shooting for today’s videogapher. So lightweight, it weighs less than a can of soda. 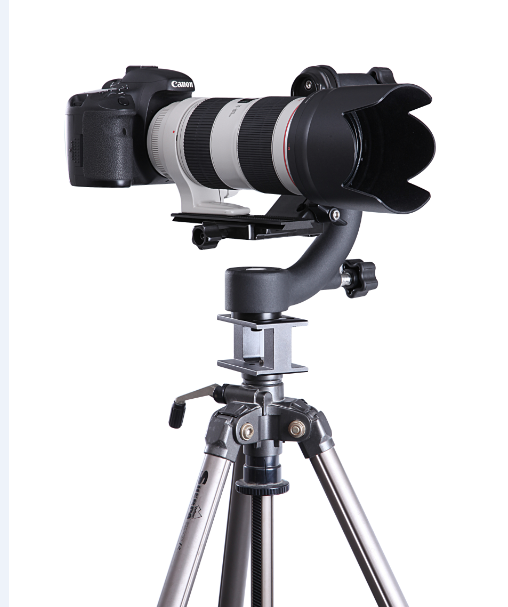 The perfect stabilizer for dslr run and gun video shooting. One Built-in AA Battery delivers up to 60 hours of use, the World's First Universal Video and Audio Grip. Nice Audio Output with High Quality Audio Pick-up. Adjusted Sound Attenuation (0dB, +10dB); Low-Cut Filter Switch for cutting background frequencies, such as unwanted noise produced by wind, focusing and traffic. This Sevenoak Camera Slider SK-LS120 is designed to give you the ability to create good-quality production shots without over-extending your budget. 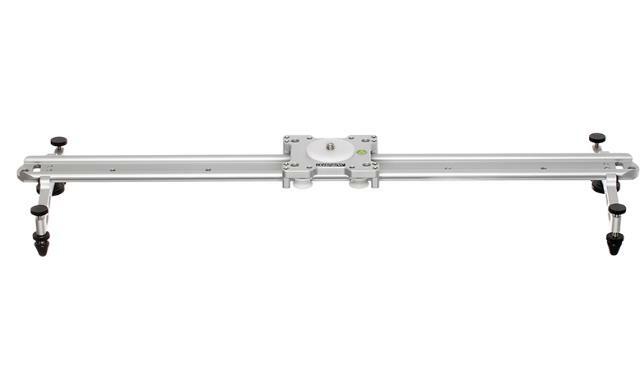 Featuring heavy-duty anodized aluminum construction, super-smooth glide rail, spirit level & tension adjustment, the camera Slider LS120 gives you the best value. It can be attached directly to a tripod and may also be used standalone with the included feet, which raises your camera setup approximately 2" off the ground. The camera slider LS120 is suitable for amateur cameras, professional cameras as well as for cameras with the function of recording movies (for example Canon 7D, Canon 5D Mark2, Canon 60D,Canon 500D, 550D,Nikon D3100,D7000,Sony A55 etc). How does Sevenoak SK-H02 Video Stabilizing work? The Sevenoak SK-H02 is a solid aluminum cold shoe video stabilizing top handle and shoe extender for stabilizing your video shoots with DSLRs/camcorders which features a standard hot/cold shoe. The Sevenoak SK-W08 Handheld Video Stabilization lets you achieve professional results for still shots, panning, moving in and out on subjects and more. Take the step up from hobbyist to professional without the expense. Perfect for outdoor action, long shoots, artistic applications and more. I wanted some nice, fluid sliding shots. There are many, many ways to pull this off, all centered around sliding your camera along a rail of some kind. I’m really just trying this out, I’m not a fancy videographer or anything, so I really didn’t need anything complicated or expensive. I wanted to get a nice motorized sliding system for as cheap as possible. This Sevenoak Camera Slider GT01 is designed to give you the ability to create good-quality production shots without over-extending your budget. Featuring heavy-duty anodized aluminum construction super-smooth glide rail spirit level & tension adjustment the camera Slider GT01 gives you the best value. 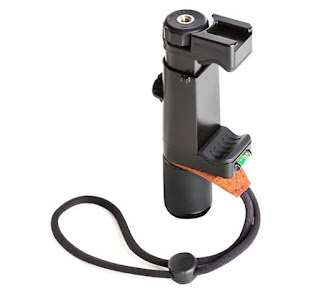 It can be attached directly to a tripod and may also be used standalone with the included feet which raises your camera setup approximately 2" off the ground. Sevenoak SK-ECH04 is a 2 axis remote controlled Electronic ball head design for use on Jib Arms, Tripods or Sliders. 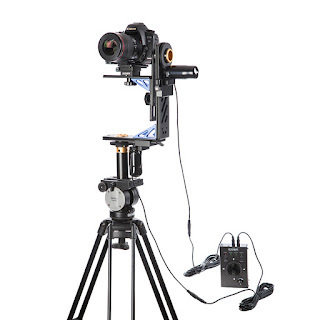 It features adjustable positioning on 2 axis to ensure that the center of gravity of the camera falls correctly within the pan and tilt head to put the minimum load on the DC motors on 2 axis as well as providing the smoothest motion as a result of this design. The controller comes with SK-ECH04 has a joystick that gives the head precision pan and tilt movement in either direction from a slow crawl up to the required speed. If you want to capture amazing videos and pictures, then Best DSLR Camera Stabilizers and Gimbals is not an option. A DSLR gimbal is something that is developed to assist the cameraman in holding the camera load and make camera stay stable and motionless during the shooting session. 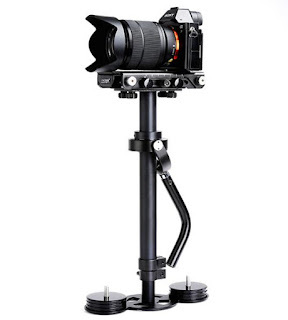 The Best DSLR Camera Stabilizers and Gimbals fall in the category of the technological tools that takes the filming devotees to greater heights in the filming field. One of the fundamental goals of developing the stabilizers and gimbals is to provide accomplishment of highest quality recordings. This achievement is possible through the elimination of camera shakes. The camera stabilizers is a simple solution that most of the professional photographers and video production crews have used for a long time. What is the best camera stabilizer in 2017? If you want to capture amazing videos and pictures, then Best DSLR Camera Stabilizers and Gimbals is not an option. A DSLR gimbal is something that is developed to assist the cameraman in holding the camera load and make camera stay stable and motionless during the shooting session. 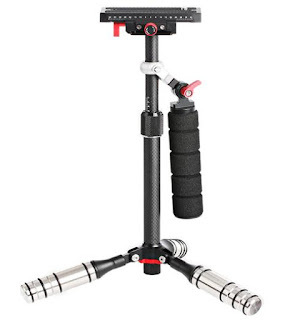 The Best DSLR Camera Stabilizers and Gimbals fall in the category of the technological tools that takes the filming devotees to greater heights in the filming field. One of the fundamental goals of developing the stabilizers and gimbals is to provide accomplishment of highest quality recordings. This achievement is possible through the elimination of camera shakes. The camera stabilizers is a simple solution that most of the professional photographers and video production crews have used for a long time. There are lots of videos of camera stabilizers on youtube, but this one is different. The design also includes a vibration mount that uses elastic bands to counteract shake. It's based on the design of the Steadicam system, but unlike the Steadicam systems you have seen. Its vibration system cushions horizontal and vertical movement. The GoPro is perfect for using in a camera stabilizer system as they are light enough to use all day without your wrist aching. The only problem is without a screen, its impossible to frame shots, further by adding a handle system that holds an Ipad or other tablet with the GoPro app on it, this could also be modified to hold a mobile phone. cameras Stabilizer are worth to get.